Earlier this year, the Rotary Club of Ascot made a very generous donation towards the cost of Blue's new carriage. 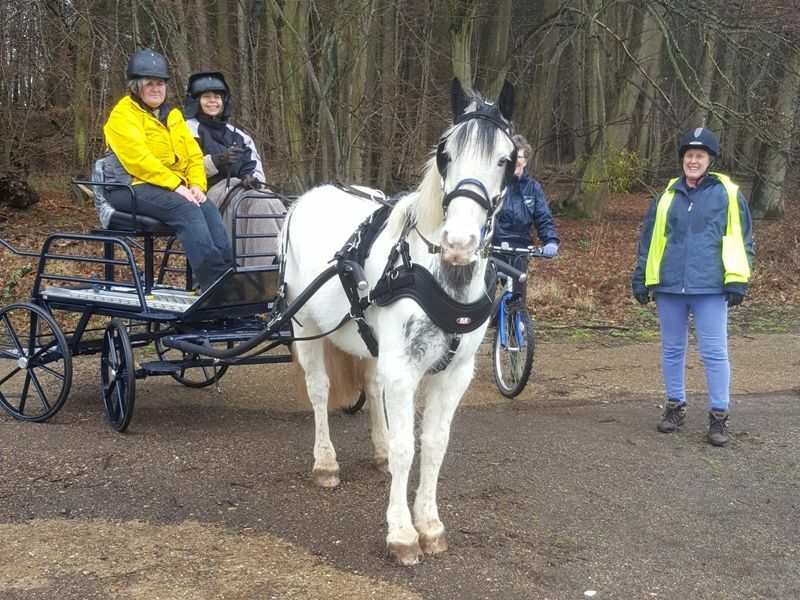 Sarah and Sue were invited to one of their lunchtime events so that Sarah could give a talk about the new carriage and our group generally. 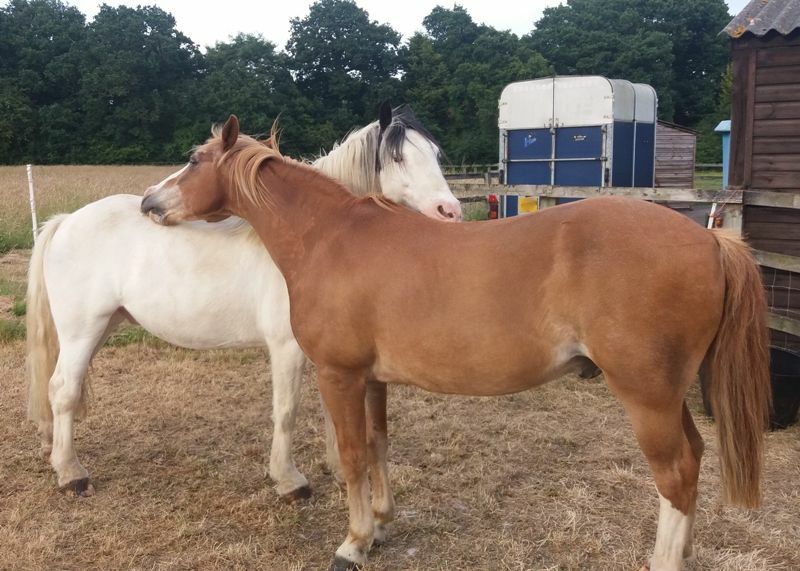 Major and Blue enjoying the evening sunshine together at their holiday home. 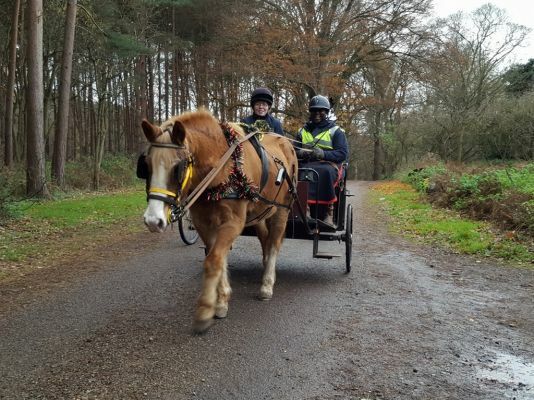 Our new carriage has arrived at last so we went out for a test drive with Blue. 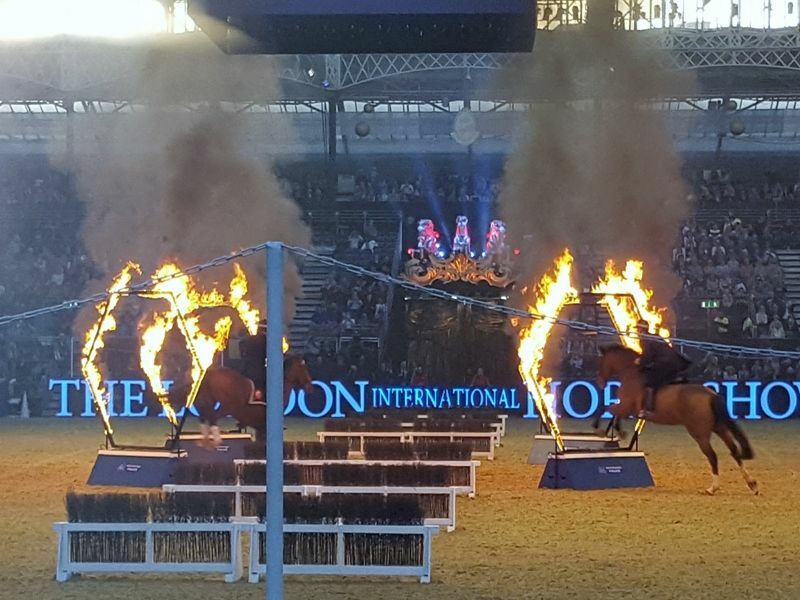 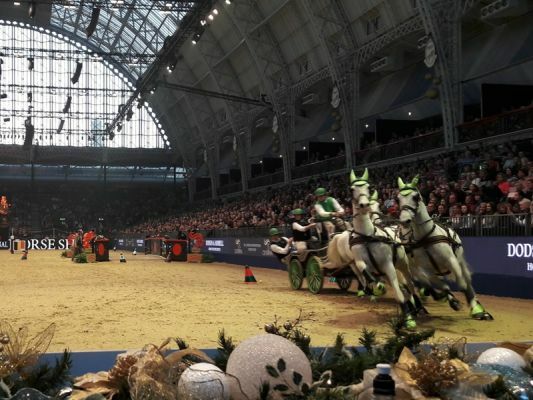 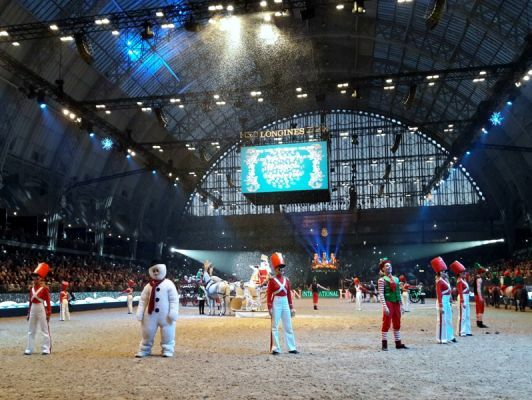 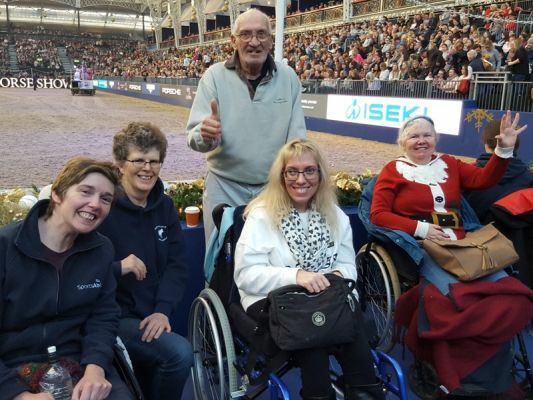 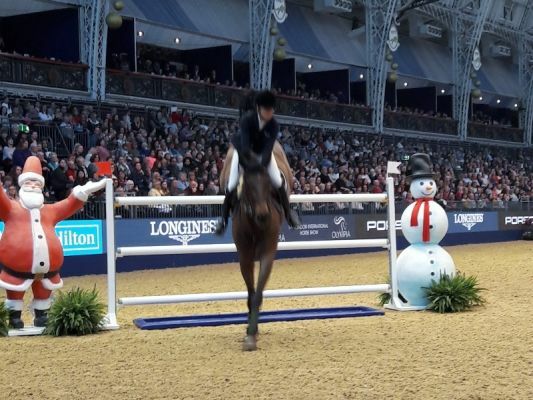 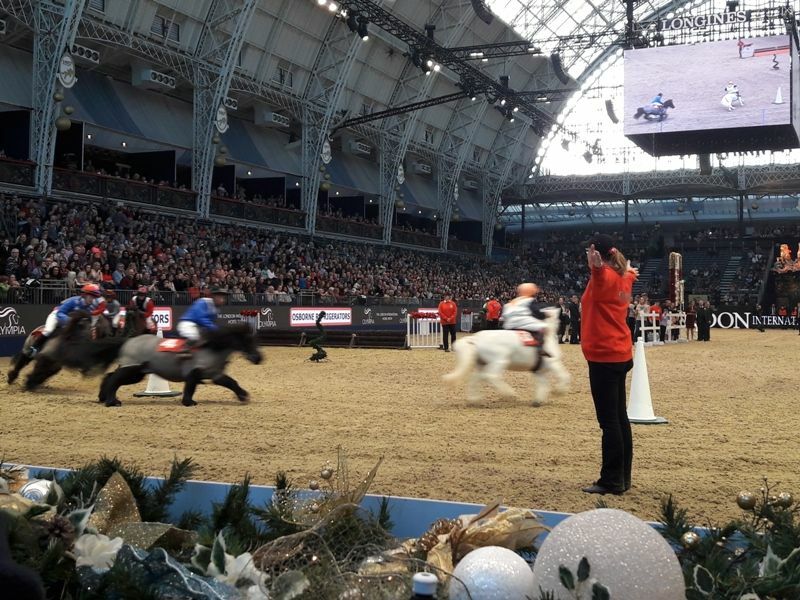 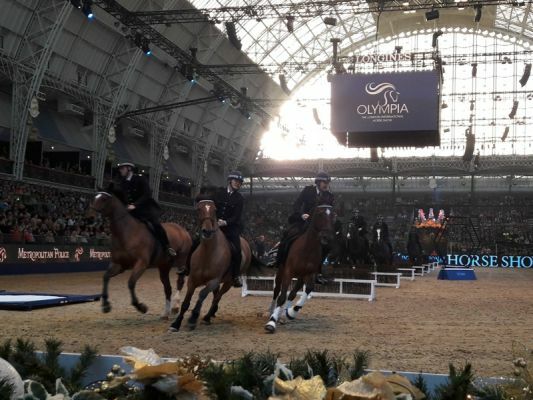 Sixteen members of the group went to the London International Horse Show at Olympia. 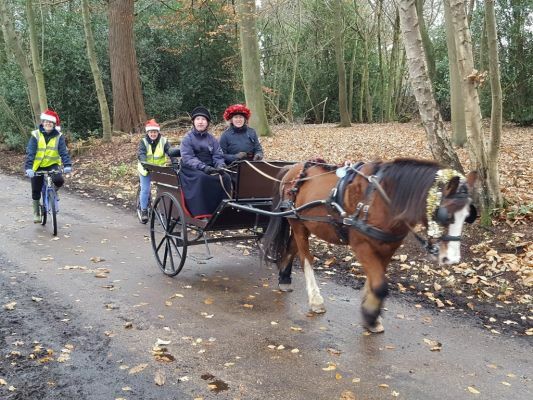 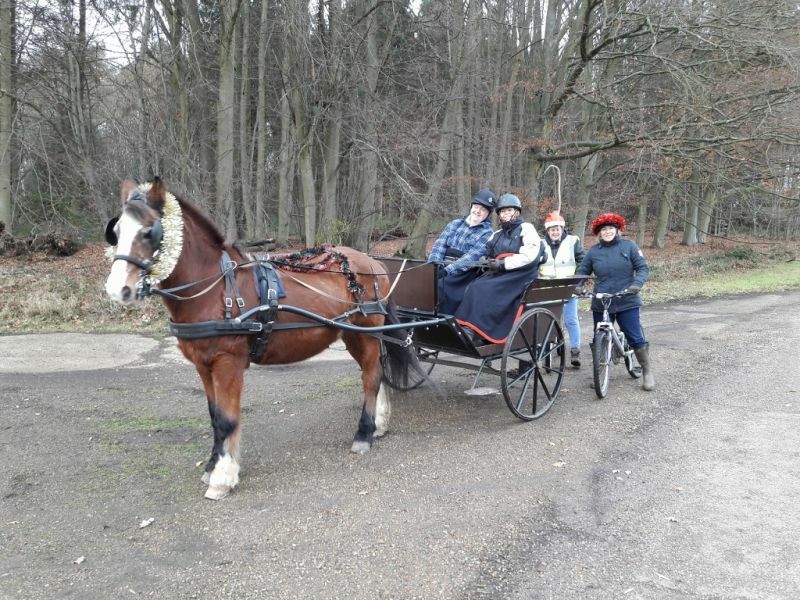 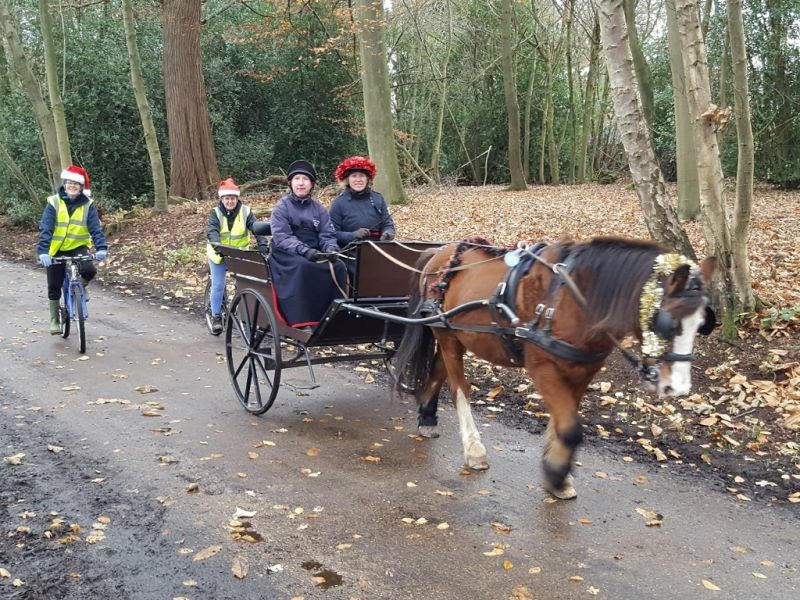 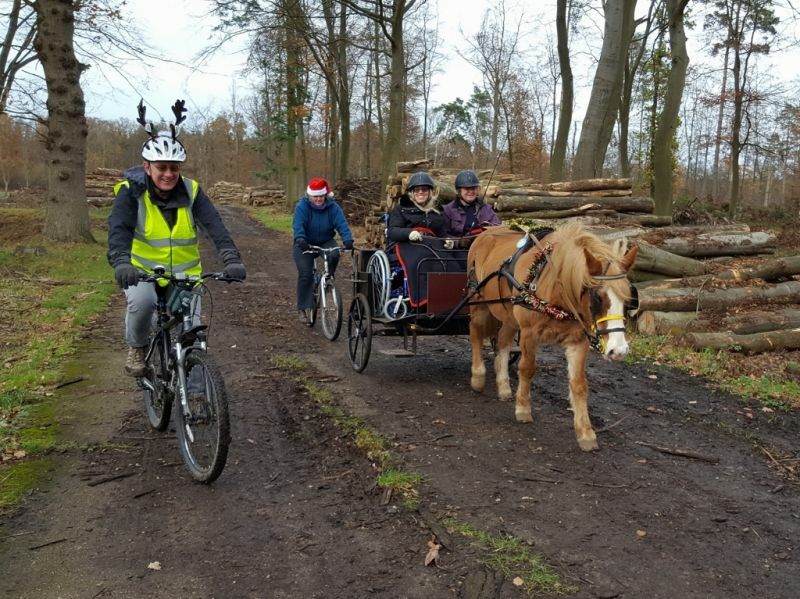 It was a very good programme and we're hoping our new carriage will be suitable for Extreme Carriage Driving - something for Car Park 10 next year? 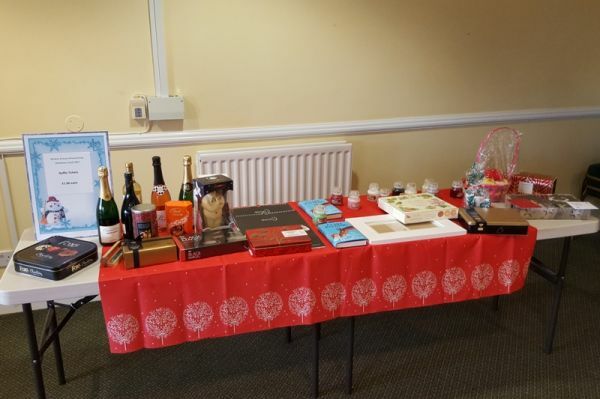 We had a change of venue to Camberley Cricket Club for our Christmas lunch this year. 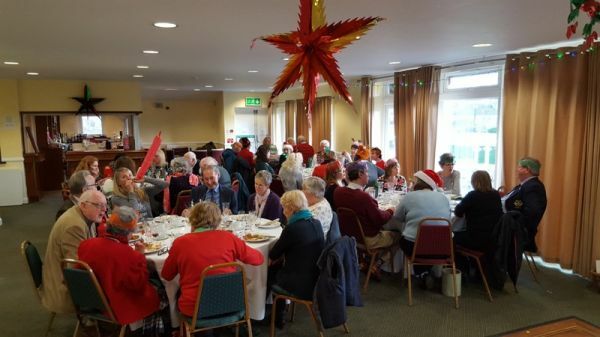 Stuart and Sue were our caterers and we had a delicious meal with much fun and merriment - the flying balloons were very popular! Forty-three people attended, including special guests Andy Davidson and Sandy Kinch from Royal Ascot Golf Club. 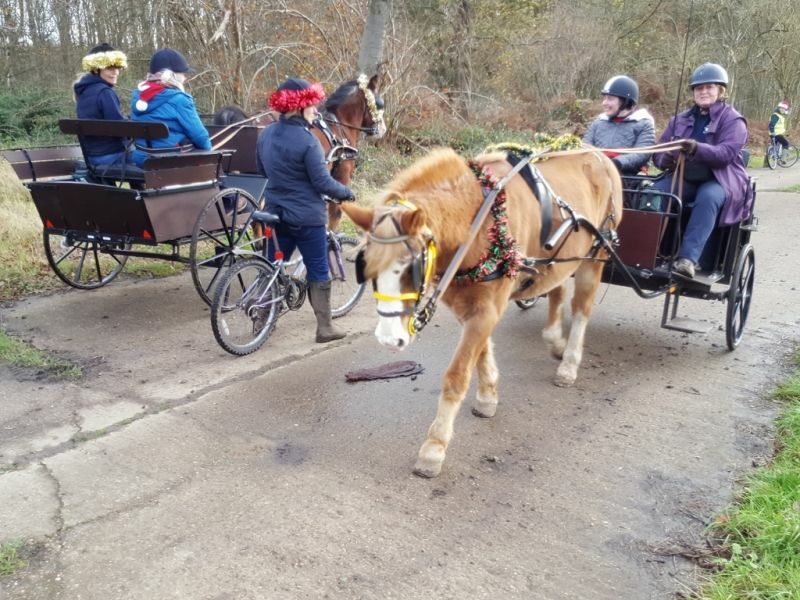 We were one of the Captains' charities this year and Andy presented the group with a cheque for £2,800, which is great news and will go towards the cost of our new carriage for Blue. 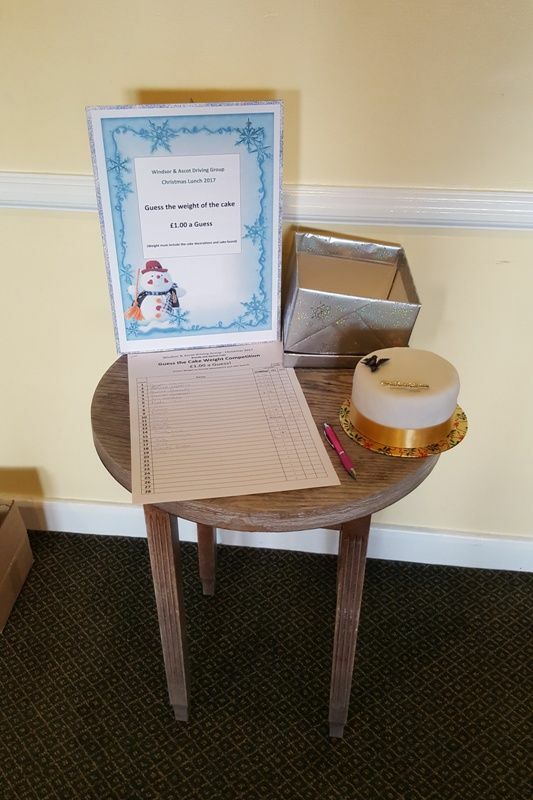 We had our usual fundraising raffle and Jo baked one of her famous Christmas cakes for the 'Guess the weight of the cake' competition, which was won by Sarah. 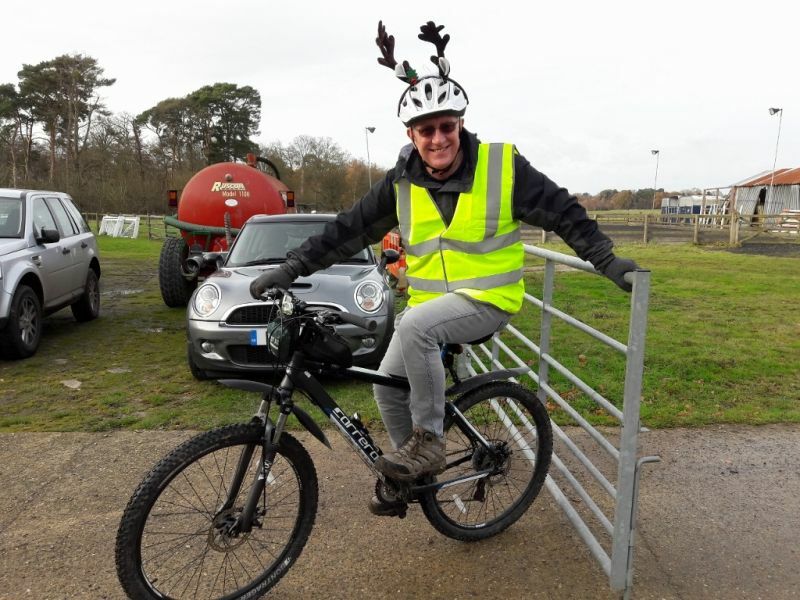 Thanks to Frank and Colin for the photos - more in the Photo Gallery. 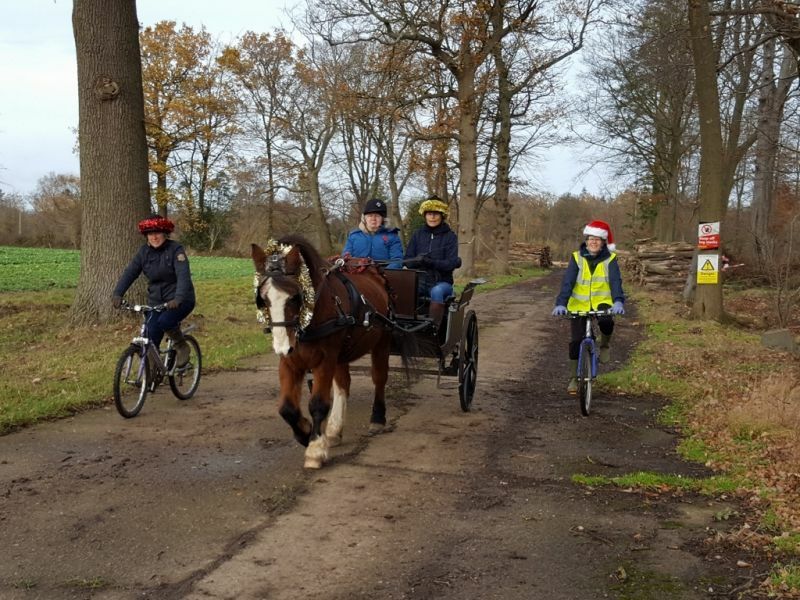 We were lucky with the weather for our last drive of the year. 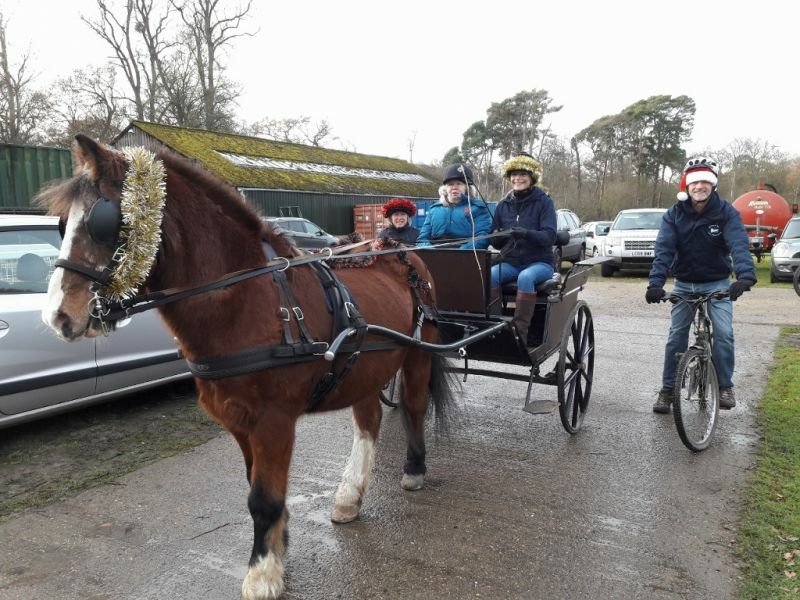 It was a bit too cold for the racecourse so we stayed in Sunninghill Park and warmed up afterwards with tea, Jo's delicious cakes and mince pies.